The band Rush completed their last large-scale tour on August 1, 2015. They followed that with the official live CD/DVD release "R40," to give fans an insight as to what the shows on the tour were like. Now, a new video from Concord Music Group allows Rush fans a behind-the-scenes look as to what went into the preparations for their final tour. 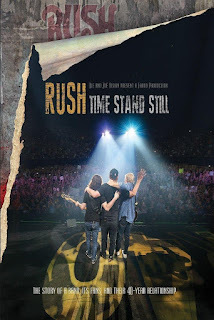 This new documentary titled "Time Stand Still" is an emotional piece of film that allows you to hear how the members of the band felt about performing together for the last time on stage. It follows the band from their opening soundcheck in Tulsa, OK until the final night of the tour in Los Angeles, CA. Narrated by Rush superfan, Paul Rudd, the film contains new interviews with band members Geddy Lee, Alex Lifeson and Neil Peart as well as crew members as they give you an inside look as to the production of Rush on tour. It's great hearing the stories and good times that these three have together, but it also becomes very emotional as the documentary dives into the lives of some long-time Rush fans and what Rush's music meant to them. The bonus material is also just as great as they tack-on ten live videos from the 1990 "Presto" tour and also show the amazing warm-up that Neil Peart does before each show. 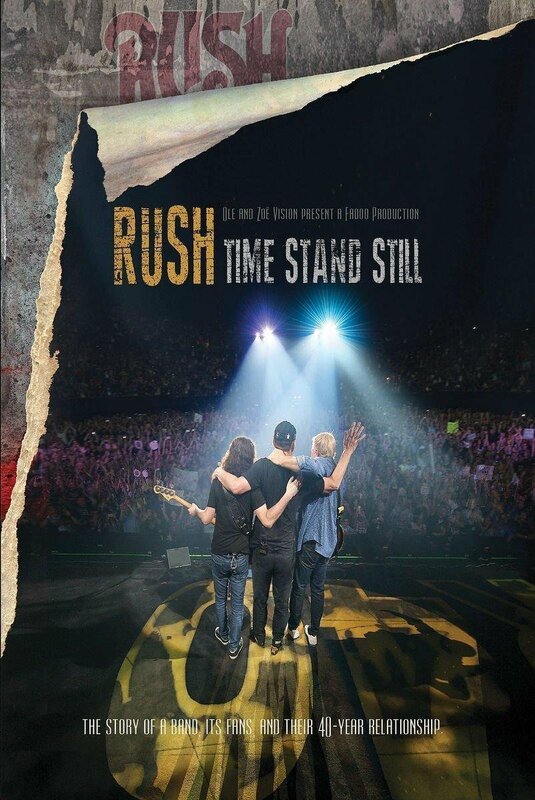 To find out more about this great new Rush documentary, please visit rushtimestandstill.com. 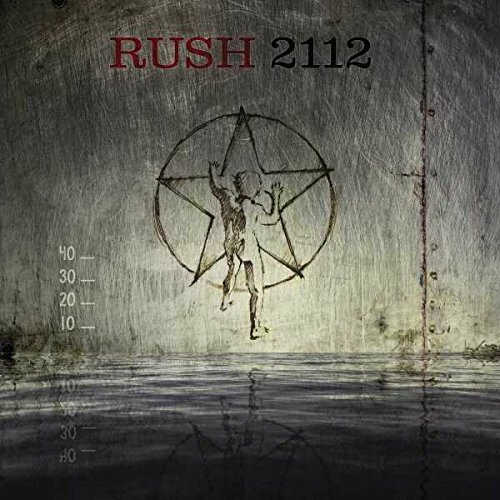 For the Canadian rock band Rush, their album 2112 was the breakthrough hit that laid the groundwork for the band's success around the world. After creating three studio albums that performed less that expected, Rush took the biggest chance of their careers, creating an entire 20-minute concept piece on side one of their album. In 1976, it was a hard pill for the record company to swallow, but fans loved every minute of music that appeared on that album and to celebrate, Universal Music is releasing a 40th anniversary 2CD/DVD expanded edition of the album. It includes the 2012 remaster of the album along with a second disc of cover songs and live versions of "2112" and "Something For Nothing" from Massey Hall in 1976 and "The Twilight Zone" from 1977. Members of the Foo Fighters cover the "2112 - Overture," giving the music a harder rock sound than the original. Fellow Canadian rockers Billy Talent perform a spot on rendition of "A Passage of Bangkok," while Alice In Chains step out of their grunge/rock comfort zone for the acoustic ballad "Tears." It just goes to show the length bands will take to sound like their idols. Also included in this set is a DVD that features videos of six songs that Rush performed live at Capitol Theatre in 1976. Also included are the music videos for Dave Grohl, Taylor Hawkins and Nick Raskulinecz version of "Overture" and Billy Talent's cover of "A Passage To Bangkok" along with a look back at "2112" with guitarist Alex Lifeson and producer Terry Brown. A super deluxe edition was also released that includes a 3LP, 200-gram vinyl along with handbills, ticket stubs and pencil sketches of the cover art. 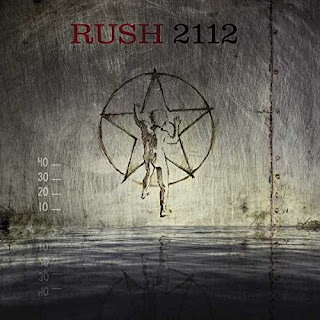 To find out more about this new 40th anniversary release of "2112," please visit rush.com/2112-40th..